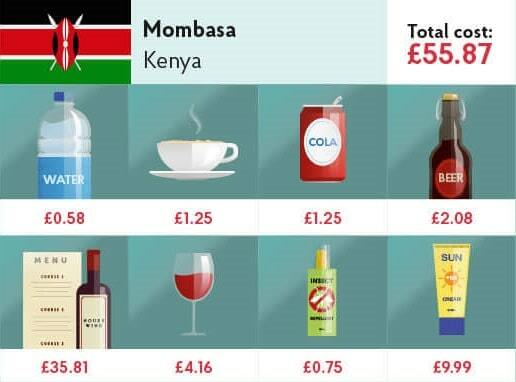 When you’re thinking about where to go on holiday in 2019, cost is bound to be a factor. And we don’t just mean the price tag on your hotel. We’re talking about all the little extras, like meals and drinks – all of which need to be paid for with foreign currency. So which destinations offer the best value for money? Our friends at the Post Office have worked it all out. As the UK’s largest foreign exchange provider, they’ve been able to predict which countries offer the best value in 2019. And the results might surprise you. Despite all the political drama and the see-sawing British Pound, there’s a light at the end of the tunnel. 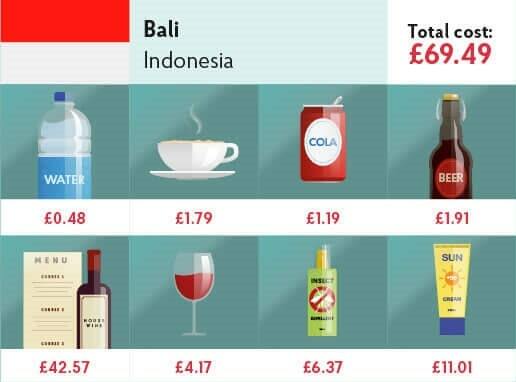 The Post Office’s Holiday Money Report shows that you can expect to pay less for holiday staples – including sun cream, insect repellent, and a three-course meal with wine – in some of the world’s most popular long-haul destinations. So your 2019 holiday could be cheaper than you think. Find out which far-flung destinations should be on your list. Animal-lovers, rejoice. 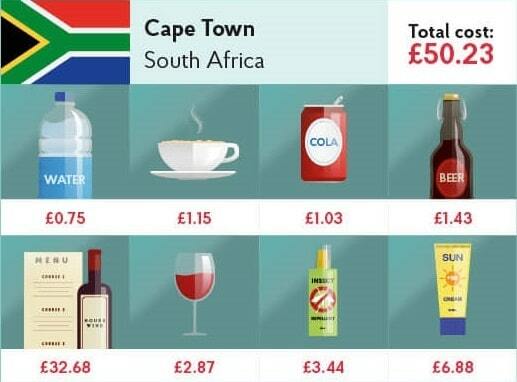 South Africa has come out as the cheapest long-haul holiday destination for 2019. The country’s strong exchange rate has long since attracted visitors, but this year is an even better time to go. Your British Pounds will stretch 9% further than they did back in January 2018. 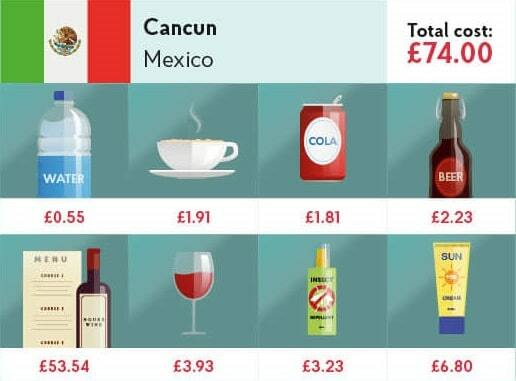 This means that eight holiday essentials – used as a measure by the Post Office – will cost you just £50.23. Tempted? Find out how to spend 48 hours in Cape Town. With the Rugby World Cup hitting Japan this year, 2019 is already turning into a fantastic year to visit. But things just got even better. This increasingly popular holiday spot has ranked as the second-cheapest long-haul destination, with prices 5% cheaper than in 2016. 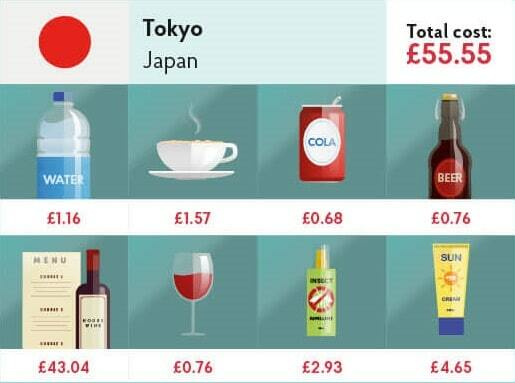 Why not spend some of that extra cash by ticking off the top places to visit in Japan? Searching for a beach holiday? St Lucia should be at the top of your list. Holiday costs have dropped significantly in this Caribbean gem, meaning that your money will stretch 20% further than it did last year. With lower prices, tropical beaches and knockout resorts, it’s easy to see why St Lucia made it on to our list of the best holiday destinations for 2019. If you’re looking for a cheaper Caribbean option, check out Mexico. 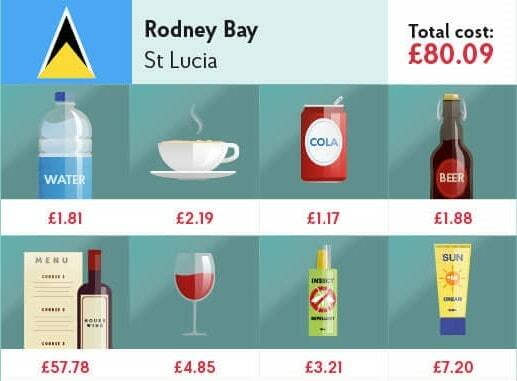 You can enjoy flavour-filled food and refreshing beer – and it’ll cost you less than usual. In the world-famous holiday resort of Cancun, prices are 8% lower than they were a year ago. So you can have even more of those delicious tacos. Turn your safari dreams into reality in 2019 with a holiday to Kenya. Thanks to a drop in holiday costs, your money will stretch 16% further than this time last year. In Mombasa, a three-course meal for two with wine will set you back just £35 – bargain. For a real taste of Kenya, why not combine city and safari with a tour? The Indonesian hotspot of Bali is seeing more visitors every year, as people flock to the sweeping sands and rich jungles. The island’s luxury resorts and reasonably-priced food make a great combination, because you can splash out on your accommodation and then spend less while you’re there. Before you book, though, find out which Bali hotel made it on to our list of the best places to stay in the Indian Ocean. Notoriously cheap, Thailand is excellent value for money, with stylish resorts, cheap drinks and delicious food. There’s a real range of options too, from budget-friendly bars to high-end restaurants. 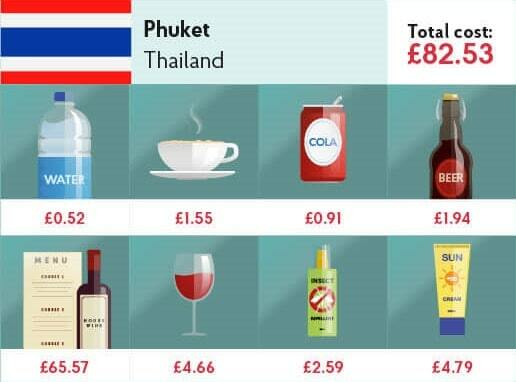 In popular Phuket, Thailand’s largest island, prices have dropped even further, with the usual holiday items costing 4% than last year. 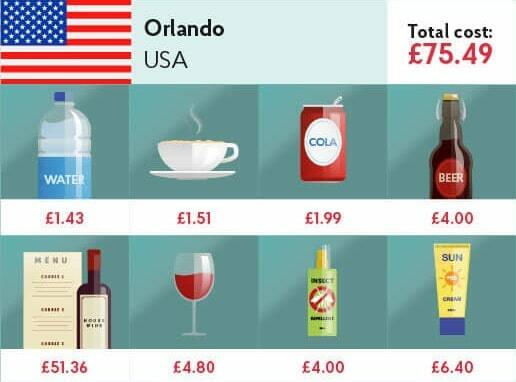 You’ve probably heard a few horror stories about the US dollar exchange rate, but Orlando continues to be a great-value holiday destination for 2019. A three-course meal for two with wine will cost you just over £50 – and, considering portion sizes in the USA, that’ll probably fill you up for an entire day. If you’re planning to go on a South American adventure this year, head to Brazil. 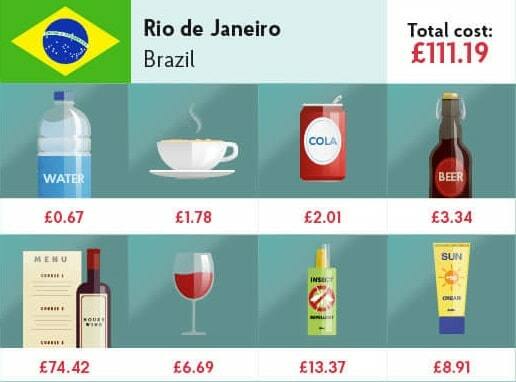 The sharp rise in the value of the British Pound means costs have effectively plummeted – prices in Rio de Janeiro are 20% lower than last year. But, considering Brazil is the fifth-largest country in the world, you probably don’t want to spend all your time in Rio. Try to see as much as you can with a tour of Brazil. Widely considered to be an expensive city, Singapore may not immediately spring to mind when you’re planning your next holiday. But we’ve got good news. 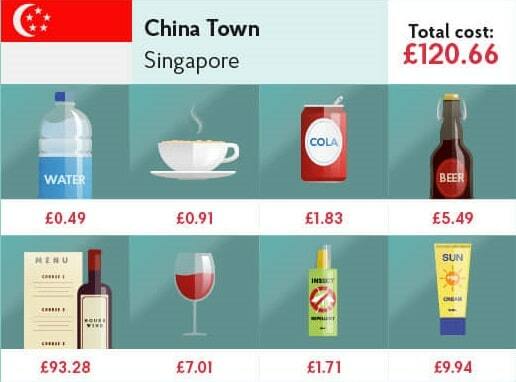 Holiday costs in the Lion City have dropped by a whopping 22% over the past year, thanks to cheaper local prices for food and drinks. So, while Singapore remains firmly at the premium end of the holiday spectrum, it’s currently much cheaper than usual. If you’ve always wanted to go, 2019 is the time. Take a look at our full list of destinations and start planning your 2019 holiday today. Or, for more inspiration, find out which destination is best for each month of the year.